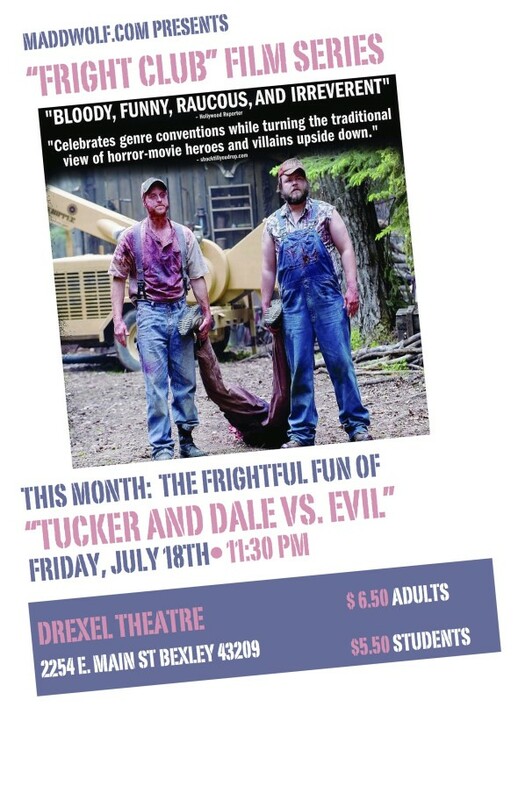 July Fright Club: Tucker & Dale V Evil! Join us this Friday night for the next Fright Club meeting! This month we celebrate the long horror tradition of hillbilly carnage with the ecstatic, hilarious bloodshed of Tucker and Dale Versus Evil!